My name is Sabrina Ellis, I am the Operations Director here at GRE Solutions, I'm also a student at the University of Wolverhampton. The purpose of this post is to introduce the idea to you and enquire whether you could support the research project going forward. I am working on a dissertation focusing on the lived experiences of employment, work place stresses and coping strategies of working age adults on the autism spectrum. Autism has started to become a diagnosis people have heard of but perhaps do not understand. There are 16% of adults on the autism spectrum in part time work with an overall of 32% of working age adults in some form of paid work in the UK. These statistics have remained static over the past 10 years, despite government strategies implemented and updated regularly since 2010. As no two people on the autism spectrum are the same, my idea is that more in-depth research is required to understand similarities or differences individuals on the autism spectrum experience during employment. The study will focus on potential stresses experienced at work, coping strategies utilised, any lived experience of feeling judged by others and how this may have affected their job performance, relationships at work and social inclusion/exclusion. As no two people on the autism spectrum are the same, this approach will explore, describe and interpret how participants make sense of their experience’s that cannot be elicited through numerical statistics in reports or articles. Participants will be asked to volunteer to take part in the research project and provide written consent before the study commences. They will be involved in a face to face interview which will involve 11 pre set questions to explore their employment experiences, perceptions and what it feels like to them to manage work place stresses, relationships and individual coping strategies. All participants can gain access to the final dissertation at the end of the project. Expected outcomes will include the successful data collection and analysis, of interview transcriptions highlighting possible themes to the employment stresses and coping strategies experienced by adults of working age on the autism spectrum. If you are aware of any individuals who may wish to volunteer to take part in the project, I can be contacted by email at S.Mcfarlane@wlv.ac.uk. Welcome to the first Fun Time Friday of 2019 and with that I'd like to wish a very Happy New Year to our friends, customers and clients. We have taken down the Christmas tree here at gethynellis.com and started back to work. Albeit at a nice pace, starting the year with a three day week. With that said, we have been onsite with a customer helping with database administration support and next week our big SQL Server Upgrade projects will kick back into life, and there is the possibility of digital transformation project getting the sign off. More on that if it happens. Just before Christmas one of the UK's busiest airports, Gatwick, was brought to complete standstill by the reported sightings of drones. As this was playing out just before Christmas it had all the hallmarks of some sort of denial of service attack. Or something that you would expect to see in Die Hard movie. Drones were constantly being reported as visible, Drones were spotted and planes couldn't land or take off rendering the airport useless for three days and a whole bunch of people stranded with thousands of flights cancelled which I'm sure did make for a pleasant Christmas preparation for those travelers affected. There appears to be have been a lot of confusion around what went on, with people arrested, their lives turned upside down as news of their arrest was splashed all over the media, only for them to be released without charge and a police apology followed. It was then revealed by the police there might not be any drone activity at all and the drones people were reporting seeing could have actually been the police drones being used to hunt for the culprit drones. Either way I'm glad it appears not as sinister as I first thought but can't help but feel the situation was handled badly from start to finish. No doubt the laws around drones and airports in this country is far to lax but with BREXIT taking up all of the politicians and law makers time and effort, everything else seems to have taken a back seat. I talked about this article with Sabrina and it seems that this is not a one off company, there are other firms out whose staff are all autistic. The article states that "Autism affects more than one in 100 people according to the UK's National Autistic Society, but fewer than a quarter of these will go on to full-time employment." The article describes some of the issues an autistic person can have finding work and describes the traditional interview process as something that an autistic person could struggle with, things like eye contact, not looking away, selling yourself can all be very difficult for an autistic person. With SQL Server 2008 and SQL Server 2008 R2 going out of support in July, many companies might be thinking of upgrading their legacy SQL Servers in the first half of the new year. If you would like some help either developing the initial planning of your SQL Server upgrade or if you prefer we can help with a complete end to end migration get in touch. Check out our YouTube video for more information on the option available to you. In the consultancy practice at gethynellis.com we have range of clients ranging from large to small. Its usually always the way, that the small clients with less SQL Server infrastructure footprint find it easier to keep up to date or at least within two versions of the latest version of SQL Server. Its very often the larger clients, with a larger SQL Server estate that struggle to keep all of their estate on supported versions and are usually the ones facing the end of support cliff edge. You can modernise and migrate to the latest and greatest SQL Server platform or somewhere in-between. You pay for a customer support contract with Microsoft so you continue to get security updates. Or you can migrate the work load to Azure and you will continue to get the security updates for FREE! Whatever you do when SQL Server 2008 and R2 goes out of extended support have a plan. We can help. We can provide with an initial assessment of your SQL estate, to give you an idea of what would be involved in mitigating the risk of your out of support data platform, whether that’s a version upgrade, migrating to Azure or something else. If you’d like to speak to us about your SQL Sevrer 2008 estate then please get in touch. Black Friday (No,not Shopping! ), Mad Friday, Frantic Friday or Black Eye Friday is a nickname for the last Friday before Christmas (Today!) in the United Kingdom. It is the most popular night for office Christmas parties, which consequently makes it one of the busiest nights in the year for ambulances and the police. It's the gethynellis.com office party today, although we are hopeful that we won't need to involve the ambulance or police this evening - we better not make any promises either! It has been the last full work week before Christmas and with no deadlines or deliverable due this week the pressure has been off a little bit. None the less, it has been a busy week , getting our projects into a state where can resume and complete work early in the new year. 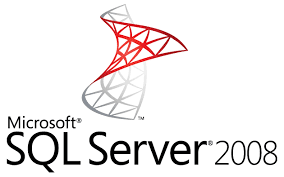 We're in the midst of a migration to SQL Server 2014 for one client. There is a valid reason for choosing SQL Server 2014 as the target platform (as opposed to SQL Server 2016 or 2017) and we've made good progress so far migrating several non-production environments to the new platform. Come January 2019 we should be in good shape to complete the final production move. The new year, 2019, will be interesting time for businesses that use the Microsoft Data Platform to support their critical business applications. A new version of SQL Server - SQL Server 2019 is due to drop... well... in 2019! A new version of SQL Server always causes a little bit of stir with SQL Server enthusiasts and the SQL Server community. Businesses and organisations are not always as excited about a new SQL Server version. Business and companies do however get a little more excited, enthused and motivated when their existing technology goes out of support. This you could argue is a much bigger driver for businesses in pushing them to upgrading and refreshing the data platform than a new release of a new version of SQL Server causes. 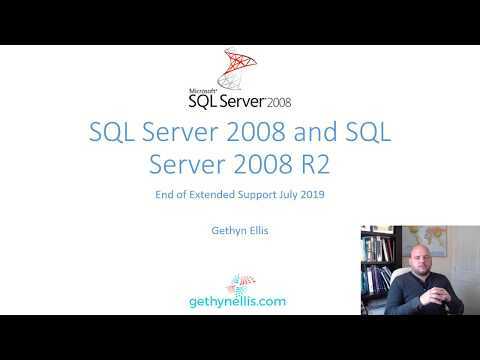 In 2019 both SQL Server 2008 and SQL Server 2008 R2 will go out of extended support with Microsoft. This will no doubt provide a big driver for many businesses to upgrade their legacy SQL Servers. If this is a driver for your business to upgrade and refresh its data platform, and you don't have the skills, or perhaps you don't have the time to deliver a data platform upgrade on top of all the other work you have on the we can help. Contact us and book a free consultation to discuss your SQL Server upgrade options. If its your office party tonight, be safe and take care out there. As this will be the last post before Christmas - I'll use it to wish a very Merry Christmas. A week is a long time in SQL Server land. This week I have been busy working on a version migration for one particular customer and looking at security, 'productionising' some servers and troubleshooting connectivity issues for another. As is usual for me no day has been the same. It’s been a busy week. Despite this, I didn't miss the release of SQL Server 2019 CTP 2.2 - SQL Server 2019 promises to offer much in the real time data analytic field. At some point, likely the new year, I will spend some time exploring the new version to see it in greater detail, so I can understand what new features will be beneficial for my clients and customers going forward. 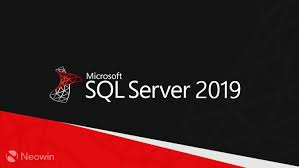 You can read about the new features in SQL Server 2019 and also download SQL Server 2019 CTP 2.2 here on the Microsoft website. 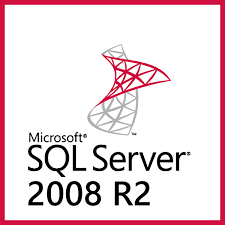 With a new SQL Server version being released in 2019, and also a more likely driver for upgrading, is SQL Server 2008 and SQL Server 2008 R2 going out extended support with Microsoft in the new year. Many of my clients will be looking to upgrade their SQL Server version in 2019. To ensure they are on a supported version of SQL Server. If you need assistance with a version upgrade, from the discovering and planning phase, executing the migration plan or optimizing the platform afterwards we can help. Get in touch for a free consultation about your SQL Server upgrade. If a week is a long time in SQL Server land, a day is a long time in politics especially this week. Brexit, again has been at the heart of the non-tech news for me this week. On Wednesday the Prime Minister faced a “No confidence” vote after 15% of her parties MPs (48 of them.) wrote letters expressing they have no confidence in the Prime Minister. By Wednesday evening she had won the confidence vote with 200 MPs voting in her favour, 117 of her own party voted that they had No confidence in her. She won the vote and she is now safe, from her own party anyway, for 12 months. How she will get 'The Deal' through parliament is now anyone's guess. Especially as several MPs who voted for her in the No Confidence vote have stated they won’t be supporting her Brexit deal. Add to that the opposition parties could decide they have no confidence in the government itself. I'll be honest neither to do I. All the while, the uncertainty rumbles on. There appears there won't be a general election this week but if carries on like this one thinks a General Election can't be far away. The uncertainty continues. After this week, there’s one full working week before Christmas – It promises to be an interesting one. It’s been an interesting week here at gethynellis.com. We have been busy with a SQL Server version upgrade for a customer, the new solution combining Always On Availability Groups and merge replication. We have also been helping a customer with some on premises SQL Server builds, creating a new pre-production environment. Fun times - its good to know on premises is still a thing. It’s the news this week that has been most interesting. Affecting Starwood hotels... The following is an extract from an email I have received from Marriott telling me about a Starwood hotels data breach. I have stayed in Marriott hotels on many occasions. I don't recall staying in a Starwood hotel however the fact I'm getting this email must mean my details are in their databases...Worrying! "On September 8, 2018 an alert was received from an internal security tool regarding an attempt to access the guest reservation database...Security experts were engaged to help determine what occurred. We learned during the investigation that there had been unauthorized access to the Starwood network since 2014. Marriott recently discovered that an unauthorized party had copied and encrypted information, and took steps towards removing it. On November 19, 2018, Marriott was able to decrypt the information and determined that the contents were from the Starwood guest reservation database and determined that the contents were from the Starwood guest reservation database. The information includes some combination of name, mailing address, phone number, email address, passport number, Starwood Preferred Guest ("SPG") account information, date of birth, gender, arrival and departure information, reservation date, and communication preferences. For some, the information also includes payment card numbers and payment card expiration dates, but the payment card numbers were encrypted using Advanced Encryption Standard encryption (AES-128). There are two components needed to decrypt the payment card numbers, and at this point, Marriott has not been able to rule out the possibility that both were taken. For the remaining guests, the information was limited to name and sometimes other data such as mailing address, email address, or other information." So someone has been rumbling around in this database for four years without anybody noticing, with access to a plethora of data including in some cases credit card information ...Oh dear! I suspect this will not be last the last we hear of this. You can't round up this week without mentioning Brexit. Let’s not talk about politics for too long or we’ll all get depressed, but it’s been an interesting and possibly a slightly worrying week as Teresa May attempts to sell "The Deal" to MPs. (It doesn't feel like a great deal to me). Every day in parliament this week has been the most important day in parliament’s history since... well the previous day. There is no doubt a long way to go before we get anywhere near a solution to the Brexit problem. 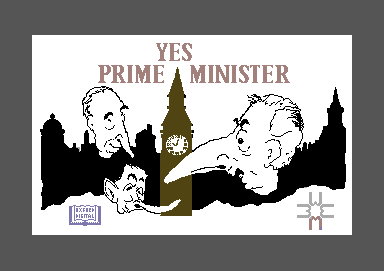 Although if the "meaningful vote" is defeated on Tuesday next week, assuming the vote happens and is not delayed we might heading for a new Prime Minister or even another general election all before Christmas. Interesting Times...I wonder what fun next week will bring. I won't re-post the original blog, I'll leave that back in 2010 but I have updated the old blog post to include the video and you can also watch the video here too.